The best of both worlds - HDD capacity meets SSD-like speed. 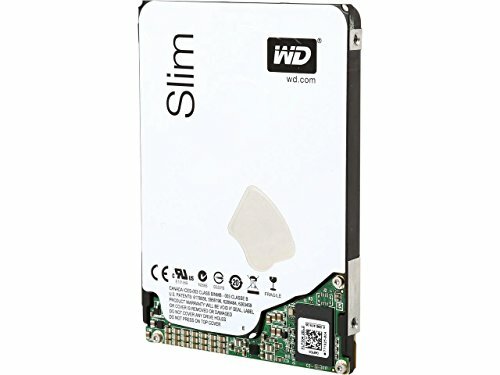 Western Digital Black WD10S21X 1TB Solid State Hybrid Drives (SSHD) combine a generous amount of NAND flash SSD technology and massive HDD storage capacity into a single drive. The best combanation of SSD and HDD to produce a hybrid that can increase overall system performance - resulting in quicker system boots, faster application loads, and improved responsiveness when compared to traditional hard drives. 1TB Capacity, 64MB Buffer Size + 8GB NAND Flash Memory build-in a 2.5" HDD for ultra-performance to burst your Laptop/MacBook Or PS3/PS4 Game Console performance to highest level !! WD 1TB SSHD hybrid drive provides an optimized, all-in-one solution which synergizes SSD-like performance, and massive HDD storage capacity in a single device. 8 GB NAND flash for blazing performance - An optimal amount of built-in NAND flash SSD technology enables WD Black 1TB SSHDs to perform at up to four to five times faster than traditional 5400 rpm HDDs. Power users such as digital artists, photographers, and gamers will welcome WD Black 1TB SSHD's ultra-fast read and write speeds when it comes to their large creative and multimedia files. The WD Black 1TB SSHD hybrid drive is self-contained in a traditional HDD form factor, and installs as easily as any traditional hard drive without special drivers or downloads. WL 1TB SSHDs are compatible with most configurations, including PC and Mac. Recommended use - WD Black 1TB SSHDs are performance-tested for use in PCs, high-performance workstations and gaming systems.